At the Design Centre our goal is to create striking individual home designs that respond to their site and facilitate the occupant’s desired lifestyle. We know that good design and documentation saves you money and therefore consider this imperative in our service to you. 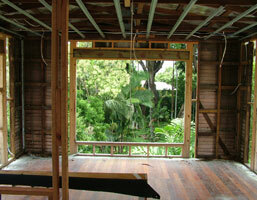 to meet you onsite and discuss your renovation project in detail. New storage sheds, garages and outdoor areas. The Design Centre provides contract drafting services to building designers, architects, developers, builders, sub-contractors, and individuals. The Design Centre offer high quality architectural renderings for websites, site signs, marketing brochures and other forms of advertising to suit your requirements. Architectural renderings allow you to show your clients your final vision before construction begins. Builders and developers can take advantage of the opportunity to sell projects ‘off the plan’. All project files and correspondence are recorded. Projects are carried out using a fully documented process. In this way we can deliver consistent results from project to project. The Design Centre is a member of Building Industry Online website service. Through Building Industry Online we can coordinate project documents with all consultants on each project as well as manage tendering services. Design sketches and working drawings are made available to clients via email in the standard PDF format. 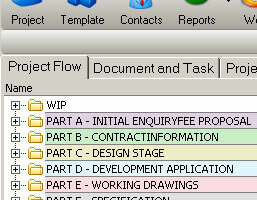 Drawing revisions and updates are instantly available, reducing meeting times and saving paper. Out of town clients can stay in-touch with their project and be fully connected in the design process. The Design Centre staff use latest available hardware and software technologies for their daily tasks. All of our projects are draw using the latest Autodesk Revit building information modeling software and Autocad software. 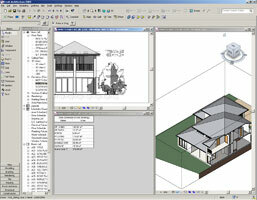 Drafting and design work is produced using Autodesk Revit Building Software. Revit is a BIM (Building Information Modeling) program. 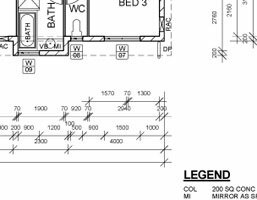 The database nature of a Revit drawing ensures that changes are updated throughout the entire documentation set, so designs stay coordinated, consistent and complete. Visit our portfolio section for examples of previous work. Please contact our office for more information on how we can assist you on your project. 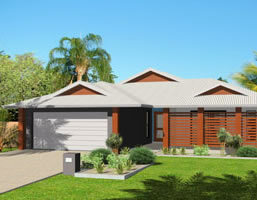 ©2009 Design Centre (NQ) Pty Ltd - Building Design, Queensland.